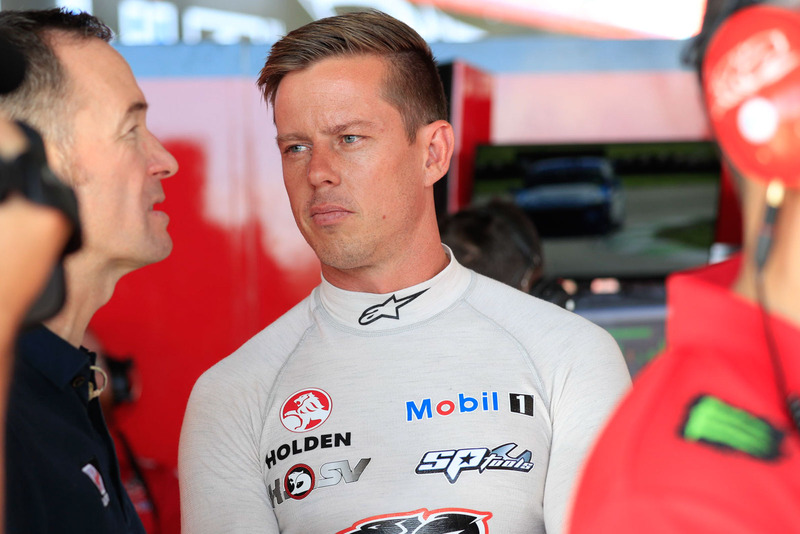 James Courtney says he will block out all the “hype” of his final visit to Mount Panorama as a Holden Racing Team driver when he contests his first Supercheap Auto Bathurst 1000 in two years. Courtney missed the 2015 race because of injuries and returns this year with the knowledge his team will lose its current name and factory backing from the 2017 season onwards, with only Triple Eight to be supported by Holden. But despite that the 36-year old has re-signed with HRT’s parent Walkinshaw Racing on a three-year deal that starts in 2017. At the same time his long-time team-mate Garth Tander has been confirmed as leaving the Walkinshaw Racing operation after 12 years, with his place being taken by Scott Pye. 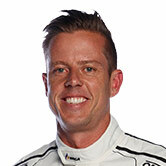 Tander’s future is yet to be revealed, although he has declared he intends to race on in Supercars. “There will be some build-up and hype about the whole thing, but in the end I don’t care about that crap, I just want to win the thing,” said Courtney, who will be joined at Bathurst by Jack Perkins. “I am probably more excited going there than anyone else,” he added. “I missed out last year when everyone else got to play. “But as for the Holden side of things; when you pull the helmet on it’s the last thing that’s on your mind. “There will be a lot of fanfare and stuff in the lead-up and over the weekend but as selfish as it sounds, you are out there for yourself and you want to win and you want to do the most you can and get the best result you can. “For me I don’t care what’s written on the side of the car, I just want to be winning. Despite only finishing 11th at Sandown after a communication issue between the pits and Perkins, Courtney says the team has made significant development strides in recent months and takes a far more competitive pair of Holden Commodore VFs to the mountain. The pace of the cars was reinforced by Tander and co-river Warren Luff’s win in the traditional Bathurst warm-up, the Wilson Security Sandown 500. “A lot of the time we were searching for a silver bullet but we have gone away from that and become more worried about making sure the gun is clean and the barrel is all shiny and the trigger is working well and not worrying about the bullet so much." Courtney said. “It is definitely paying off. We are working on the package we have got and we are trying to get the most out of that. Courtney said that improvement in the car’s behaviour made him more confident for a good Bathurst result than he had been for years. Two specific areas he used as examples of this improvement were more feel from the steering and a reduction in the nervousness of the handling, a problem that has been particularly evident at Bathurst. 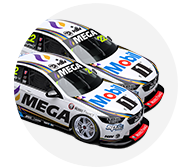 In recent years the 1000 has not been a happy hunting ground for HRT and other Walkinshaw Racing entries. Courtney’s former co-driver Greg Murphy crashed out in 2013, Tander and Luff didn’t even make the 2014 race and last year the two HRT entries, which included Tander and Luff in #2 and Perkins and Russell Ingall in #22 ,could not qualify for the ARMOR ALL Top 10 Shootout. But Tander and Luff did fight back for third in the race. HRT has not won at Bathurst since Tander and Nick Percat’s 2011 triumph. “I would definitely say I am more confident rolling into the event this year, certainly moreso than I would have been a couple of months ago,” said Courtney. Our car has [also] been an incredibly nervous car to drive there (Bathurst) and the way its evolved over the last little bit it’s a lot more comfortable to drive and a lot more consistent and you have got information. “It makes it a lot more enjoyable to do 1000km running. “You saw that at Sandown with both Garth and myself. We were really quick in really challenging conditions and both pushed 1000 per cent the whole time. “Neither of us went off the track throughout the whole race in trying conditions and there were plenty of guys spraying it off and going through the grass and off the track.